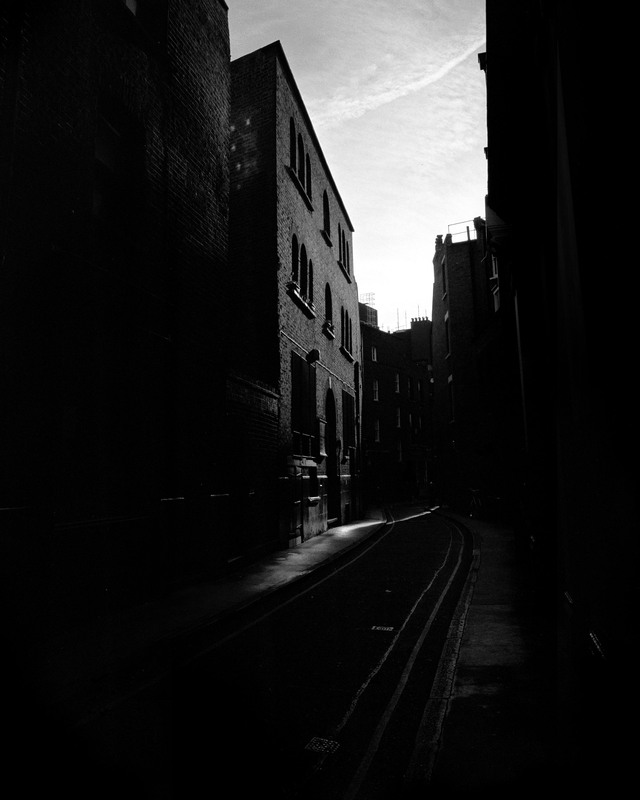 There is a particular time in March around six thirty in the morning when the sun rising sends a narrow ray of sunlight along Sandys Row to illuminate the front of the synagogue in Spitalfields and photographer Jeremy Freedman was there for weeks in the frost to capture this haunting image with its subtly modulated dark tones and luminous mackerel sky at dawn. 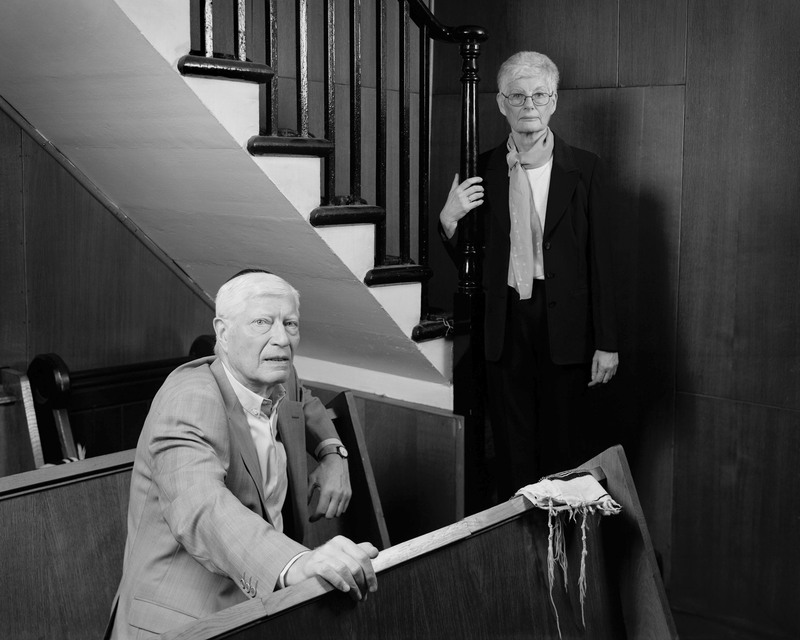 It was a university photographic project that first drew Jeremy to the orthodox synagogue, established here in Sandys Row in 1854 as The Society of Loving Kindness and Truth (a Mutual Aid Society offering a community of social support and traditional funeral for those who embraced the society), in a former Huguenot Chapel built in 1766. In the nineteenth century, when there were over one hundred and fifty synagogues in the East End, Sandys Row had one of the largest congregations. Now it is one of only four that remain active and, when Jeremy came along to take his pictures, he found the attendance was dwindling. 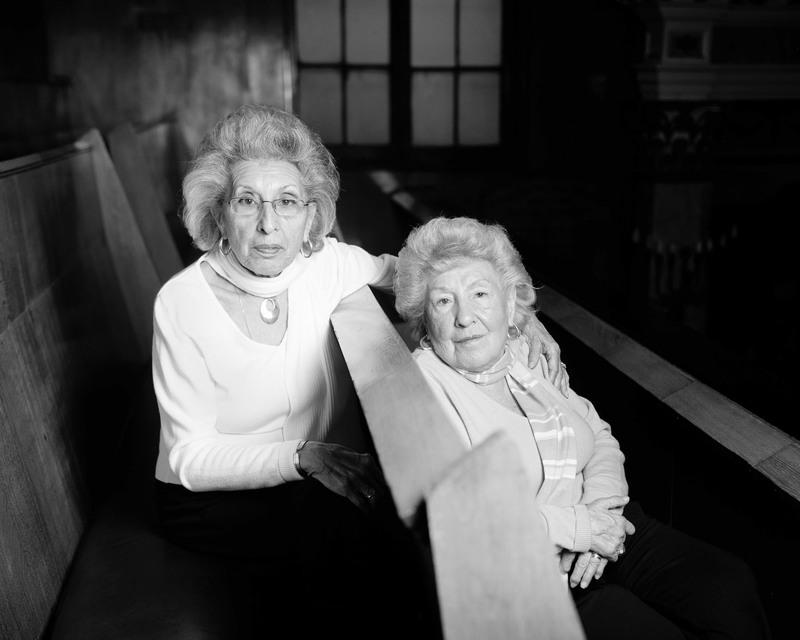 “As a photographer, I thought was very important to photograph the senior members of the shul and try to do it in a way that captured their essence.” explained Jeremy, introducing the remarkable series of portraits you see below, which are published here for the first time. As the work of a photographer at the beginning of a career, there is an impressive restraint to these austere, warm and dignified images that stand as fine examples of classical photographic portraiture. More significantly, there is an emotional intensity present that reveals something of Jeremy’s relationship to his subjects. Because although Jeremy grew up in North London, he is descended through his father from generations of Dutch Jewish economic migrants who came to the East End in the eighteenth century, while on his mother’s side he is descended from those who came as part of the great migration of over one hundred thousand Polish Jewish people in the late nineteenth century. 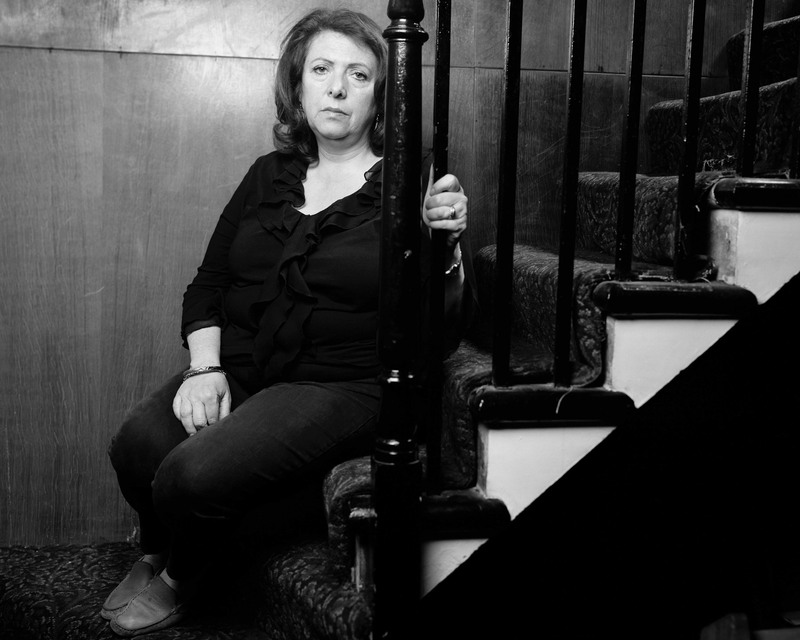 The name of Deborah Englesman, Jeremy’s ancestor upon his father’s side, is there upon the humble paper and cloth plaque recording the foundation of the synagogue – as one of the mothers, daughters and wives that the poor working men who formed the Mutual Aid Society honoured, in contrast to the rich benefactors whose names were dignified in stone at the foundation of wealthier synagogues in other parts of London. Among Jeremy’s many East End antecedents, his grandfather, Alfred, who was born in Wentworth St, was once the president of the synagogue and his grandmother, Pamela, ran The Princess Alice in Commercial St.
Today Sandys Row is on the up again, welcoming approximately eighty businessmen from the City for lunchtime services on weekdays, plus the synagogue recently received a major award from English Heritage to preserve the roof and Jeremy is currently amassing a photographic archive of all the families, like his, that have been associated with the shul over generations. “I feel at home here in these streets”, said Jeremy, reflecting affectionately upon this neighbourhood that holds so much of his family history. 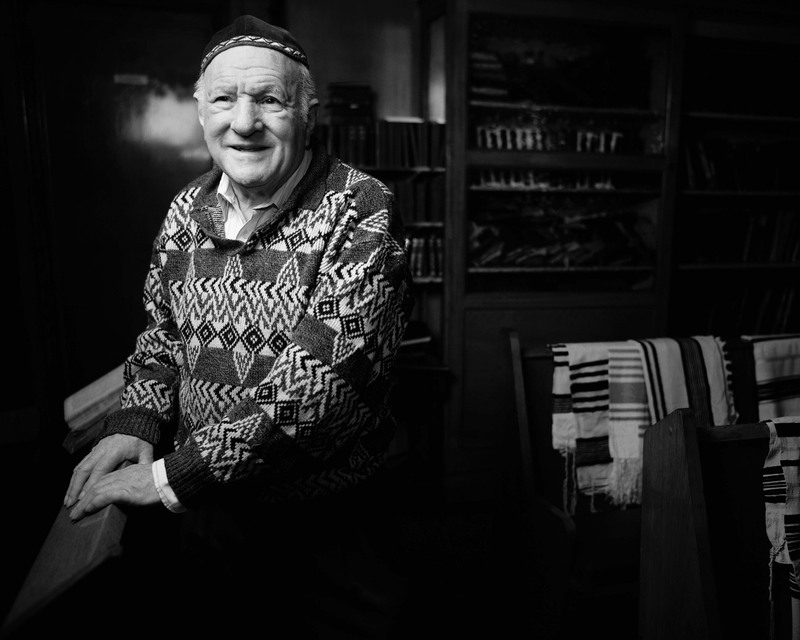 You will see him frequently these days in the places his ancestors knew so well, because he now has many reasons to spend time here in Spitalfields, through his involvement with the synagogue, as a weekly trader in the Thursday antique market and as a busy working photographer too. Henry Glass, who arrived at Liverpool St Station as a child, as part of the Kindertransport. How wonderful to get such an intimate look inside this East End institution! I was a friend of Betty probably your Grandma or Great Grandma who lived in Marlow buildings. Would love to hear from you to catch up on the past and the present. The photo of the sunrise is so good – both symbolically and artistically! After Jeremy explained to me about Spitalfields and the history of this area, I understand and appreciate the importance of these portraits. Next time I am in London I hope I can go and visit this area! I am proud to be a friend of this photographer – when his work is known around the world I can show the photos that he took with my camera – portraits of me! The portraits speak volumes for the breadth and depth of the subjects’ life experiences; but the study of Sandys Row with its contrast of light and shade is particularly stunning. I really enjoyed talking with you about your work etc when we met today. 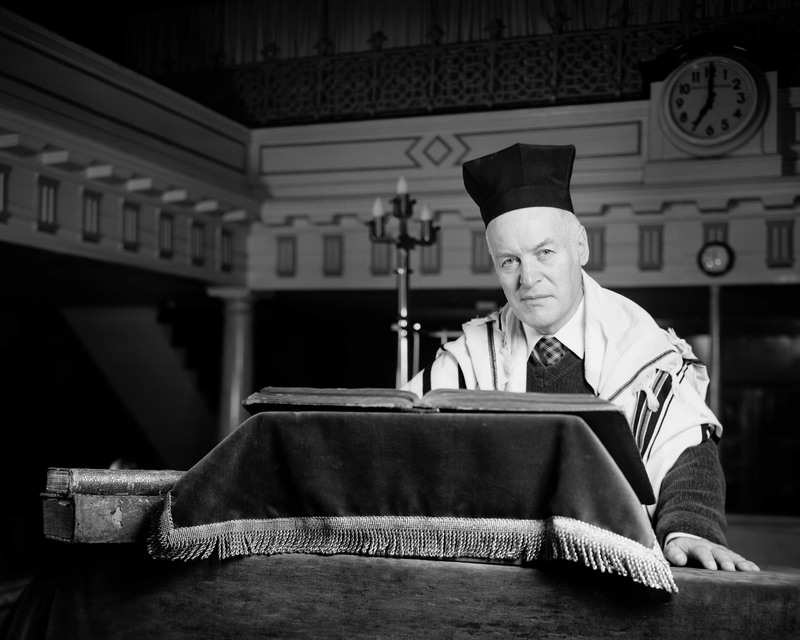 “In the nineteenth century, when there were over one hundred and fifty synagogues in the East End, Sandys Row had one of the largest congregations. Now it is one of only four that remain active”. It is hard to believe, isn’t it, that over 150 shules could be squeezed into just one, fairly small part of London. I am guessing that some of them must have been smallish minyanim, tucked away in modest buildings. I can understand why only 4 remain active, but I would love to see them before they too close forever. Or become carpet shops and laundromats. Ran into this website while visiting Denis Severs House. My son lives in Westminster and is reform, so this wouldn’t be a place he’d belong, but we love to see the revival of a Jewish community wherever it takes place, and especially the preservation of historic synagogues. I am visiting from the US and was amazed to see the term reverend used to describe the leader of the service. In the US we use the term reverend only for Protestant ministers. If he or she is ordained, the only acceptable term is Rabbi. If not ordained, but conducting the services or otherwise managing the spiritual side of temple life, they would be described as lay leaders. 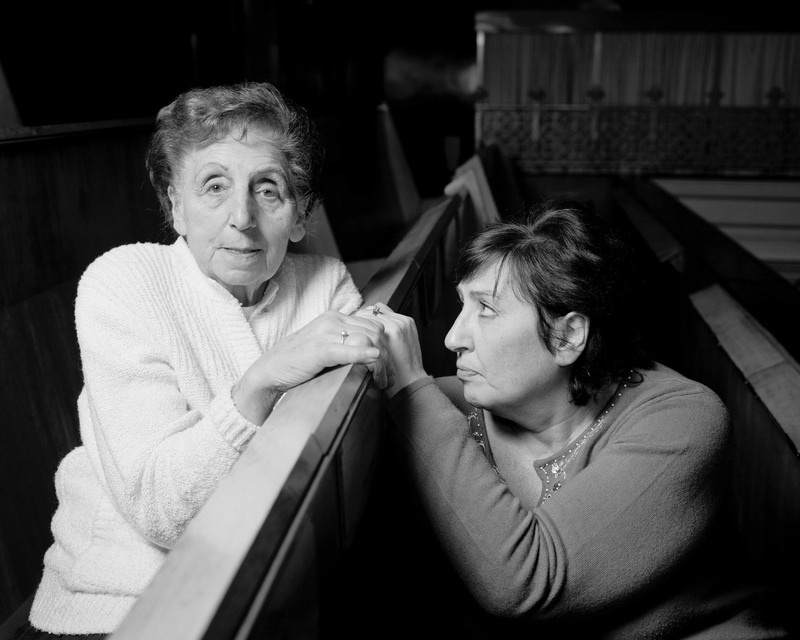 Is the use of the term reverend traditional for Jewish religious figures in the UK? Also, are the new members of the temple coming from an in-migration of younger couples to Spitalfields? And is the temple still Orthodox? 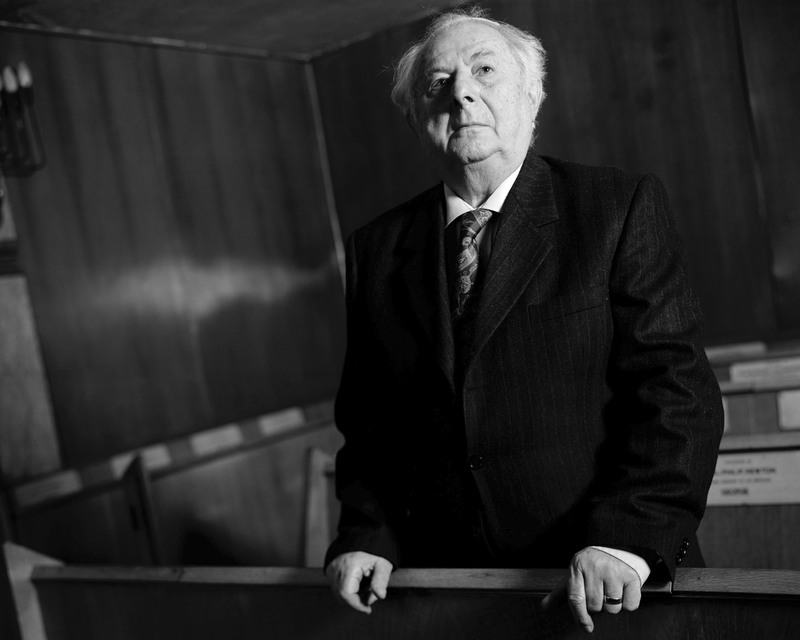 Reverend Malcolm Gingold, is a highly esteemed and respected figure in the East End. He is not an ordained Rabbi but a learned gentleman who has made his life encouraging (even pushing forward) the Jewish community in this part of London. He has been addressed as Reverend all of my life and believe we address him so because ‘we’ respect and recognise his contributions to the Jewish life in E1. The temple is still Orthodox, but we are an open traditional community quickly adapting to modern day life. We welcome people from all sections of the community and run a variety of services from traditional saturday morning services to social friday night dinners, specifically for people who don’t want to come to shul at 9am on Saturday morning – who just want to get a taste of jewish life and meet some new people once a month. Many of new members are newcomers to area, and some are looking to honour their family membership. But we as a community understand that our future will not be cemented by new membership – We must become more than just a house of prayer if we are to serve this community for another 150 years. Jeremy – we met at Blenheim last week as part of the behind the scenes team and I Googled you (because your own website seems to have been hacked) and found you here on this gem of a site. My great grandfather lived in Wilkes Street and my grandparents in Columbia Road before moving further afield; the next generation now Middlesex, Oxfordshire and New Zealand. However my daughter (you also met) now just a short distance away again (Hackney/Islington border). Enjoying your photographs as well as all the information – thank you and nice to meet you! I have just logged on to your website and looked at your fantastic photos. I was deeply moved by everything that was said about the problems with Shul not have enough people to fill it up each week and all the problems they have had with the broken tank that caused a flood etc. My grandparents got married there in 1916 and so to me I feel it has a special place in my heart. My grandmother often spoke about it to me and through her eyes I feel as though I know it very well. I will definitely make time in the future to come and visit the Shul. It is a beautiful place and should be looked after. With G-D’s help let’s hope he will make it so. All the best, Janice Howard. PS My Grandparents names were Janet Nunes Ribeiro and Abraham Joseph. love the photos of Sandy’s Row In thw late 50s I went there every Friday night as my parents used to manage the Kings Stores pub a few yards away in Widegate Street. My husbands aunt and uncle Stella and Jimmy Wilder were stalwarts for many years. The picture of lilly and ray is beautiful, they are my aunts and i would love to have a copy. Hi love the site I lived in spitalfields all my lifejust off brick lane my parents we I now live in Surrey re married in Sandys row synagogue I worked in wentworth st my mother worked for Trumans brewery and my father worked for Barnets in Frying Pan Alley I really enjoyed my childhood ,taking my granddad his tea struggling through the packed lane where he had a market stall ,my children all grown up now but growing up used to love the stories I told sometimes in disbelief but always ended in laughter I now live in Surrey I will always treasure the very colourful memories I have of growing up in a very close knit community.